In the summer of 2015, North Carolina Senate leaders threatened to eliminate most of the state’s teacher assistants. 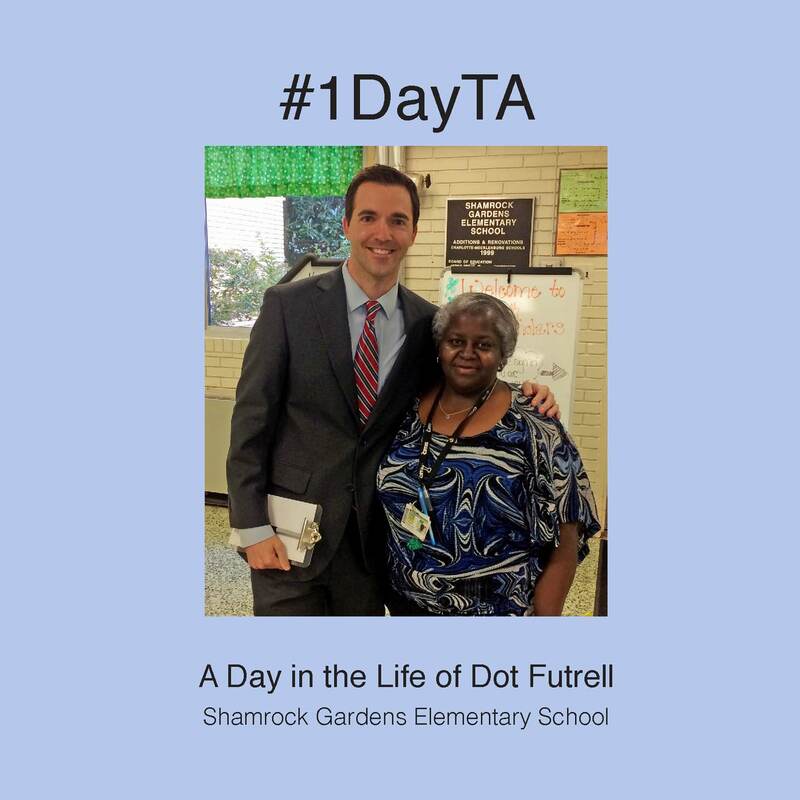 On August 27, Senator Jeff Jackson visited Charlotte’s Shamrock Gardens Elementary to learn more about teacher assistants and their jobs. He spent the day with Dorothy Futrell. It was a great choice. Dot Futrell has been a key part of the Shamrock staff for nearly two decades. She lives near the school, and knows students and their families better than anyone else. She teaches lessons. She does paperwork. She deals with discipline. She oversees school transportation. Outside of work, she spends countless hours designing and creating decorations for school events. Jackson shared the day’s experiences on Facebook and Twitter, at #1DayTA. In the end, the General Assembly voted to keep most of the TA jobs.